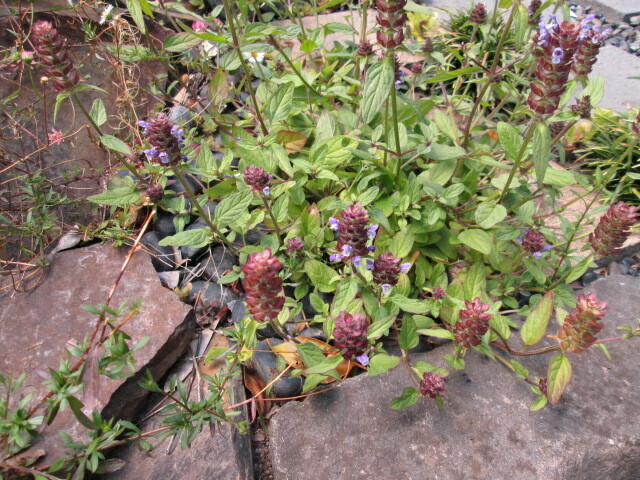 This ground cover with purple flowers is pretty, but is it a plant or a weed? 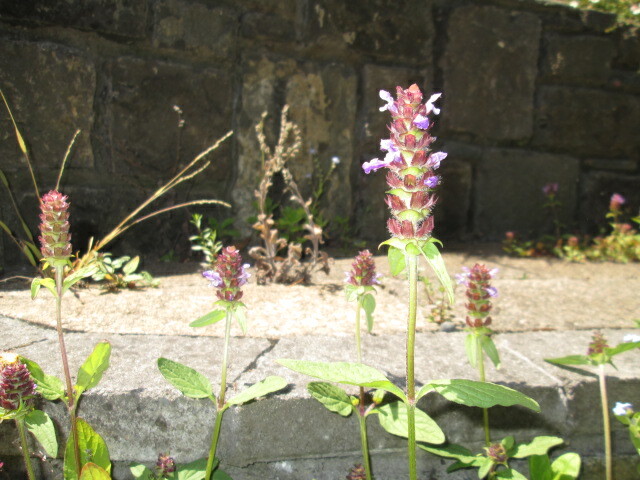 I’ve asked at a nursery, where they suspected it may be a variety of salvia. 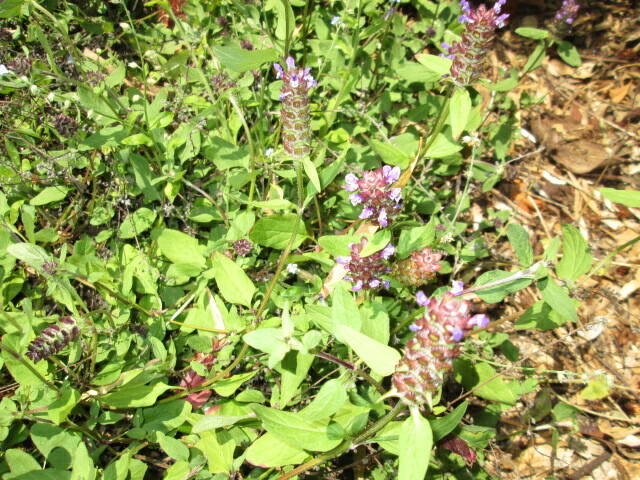 I remember being given a bunch of salvia a couple of years ago, but I’m not sure they looked exactly like this. Can seeds from flowers revert to a different looking species? 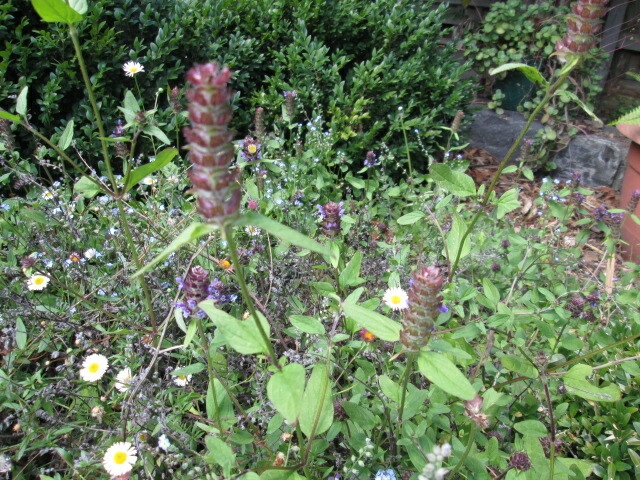 Coincidentally, I went to a community nursery where I spied the same plant growing in their grounds, but they were unable to identify it and suspected it was a weed. 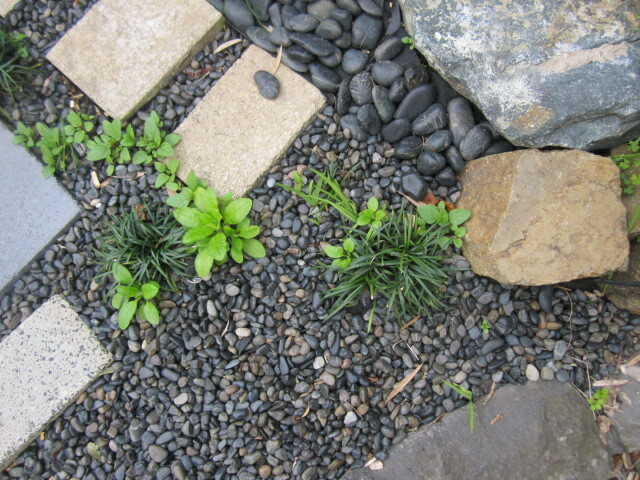 1. a plant growing wild, esp. in cultivated ground to the exclusion of the desired crop. 2. any useless, troublesome, or noxious plant, esp. one that grows profusely. I actually like this plant; it’s just where it has sprung up I don’t like, because it is in a slightly more formal, stylised area of the garden. In another area this plant could do very well. Even plants that are sold as legitimate ones can be invasive. Just look at seaside daisies, Erigeron, which can become somewhat invasive, taking over entire areas. I’ve decided that you just have to contain these plants. Ivy is known as a weed and yet it is pretty and can help suppress other worse weeds, so I have developed a system, keeping some of these plants, but limiting where they are allowed to grow. It’s fun pretending to have some control over nature. Meanwhile, I think this purple groundcover may officially be a weed, but if I plant it in my cottage garden with the seaside daisies I think it will be rather attractive. Another project, or fixation I have, is the nature strip. There may be another name for this in other countries, but I am referring to the strip of grass in front of the house on the other side of the footpath (pavement in England, sidewalk in USA). Australia and both those countries all purportedly speak English, and yet we have different names for the same thing, not to mentiion varied accents. I told you not to mention that! 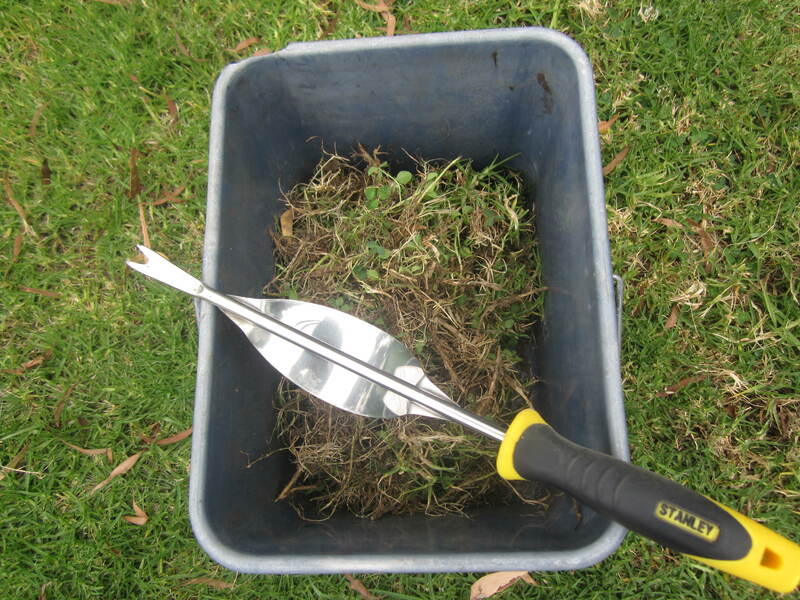 Weeds on this patch of grass I do not like, and am attempting to eradicate. 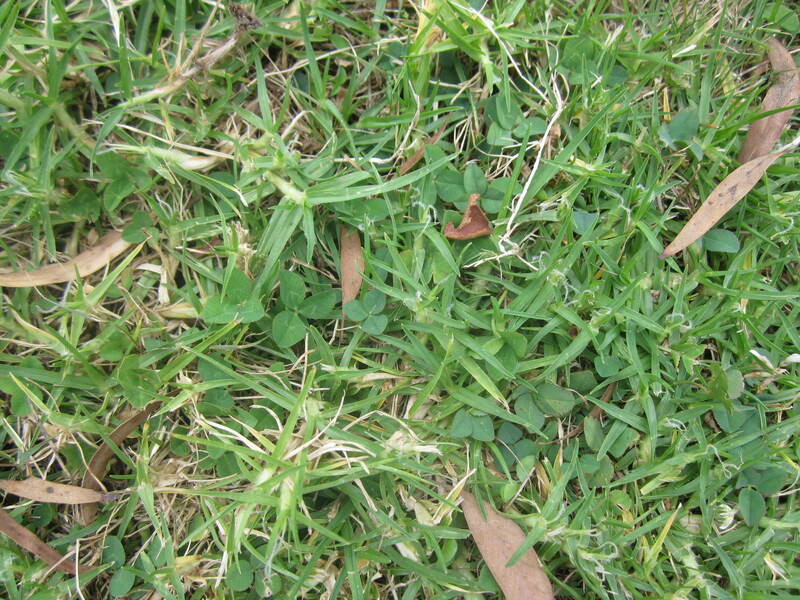 When we arrived here the nature strip was basically awful paspalum, which I managed to eventually get rid of, and we replaced it with kikuyu, which is extremely drought resistant, something we have to contend with every few years in our country, even down south in Melbourne. 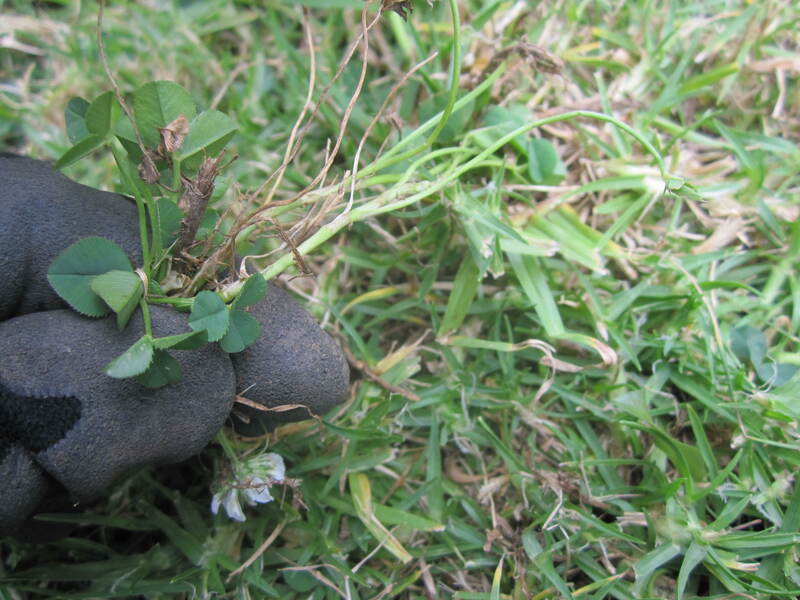 A patch of clover sprung up, which I started weeding, but then after we did our ten-week around the world trip in August 2011, which is covered in my first blog travelswithprincessandquiquinou.wordpress.com. 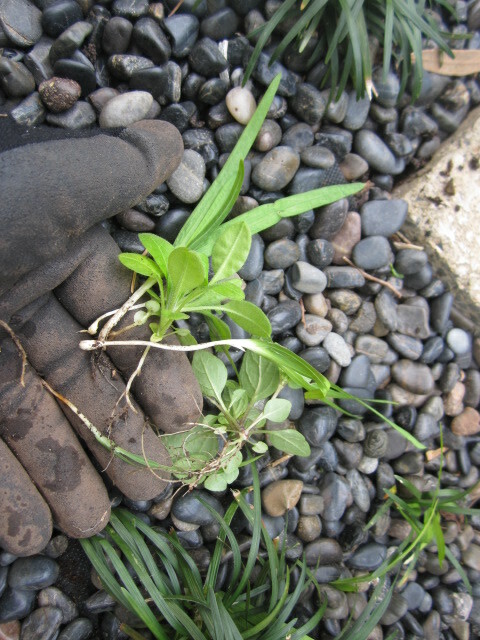 Unfortunately all my weeding was somewhat wasted as it took hold again. On our return I had many other pressing chores in the garden to attend to rather than weeding this strip of grass. Now I’m back with a mission, and it’s amazing how people stop to have a chat, sometimes offering advice, such as “Have you tried Weed’n’Feed?” to which I reply “I’m trying to be environmentally conscious. Besides, it’s quite therapeutic sitting here listening to my music and letting my thoughts drift.” Others are amazed that in this day and age anyone would bother. 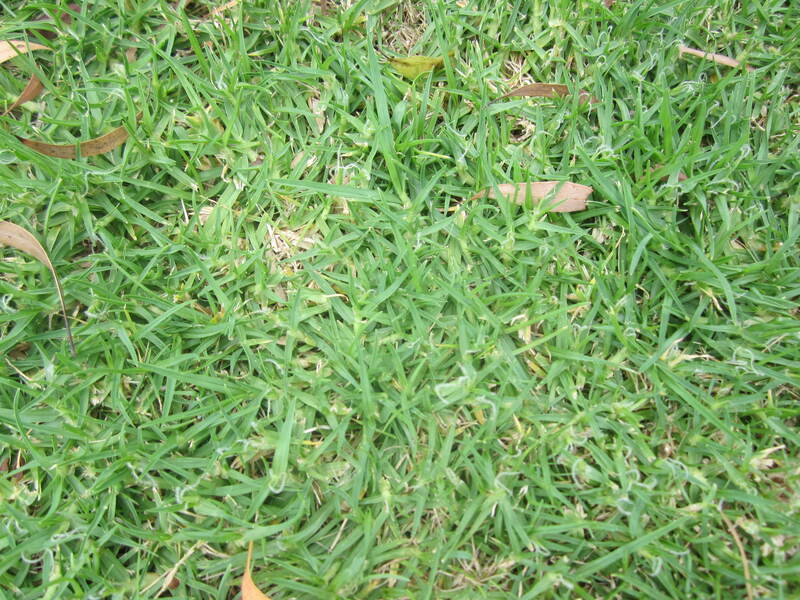 However, one guy was inspired to tackle his paspalum after our talk. I used to laugh at my mother when she went out to weed a patch of garden, and now here I am, doing the same thing. Isn’t it funny how it all comes full circle and we turn into our parents? And not only that, discover that it’s not actually such a bad thing.